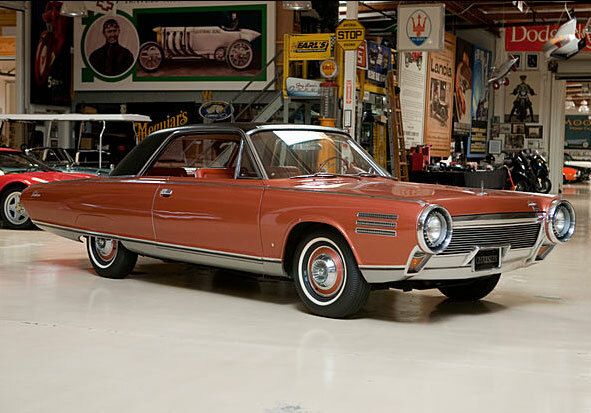 Be sure to check out the comments section with a recent article from the Wall Street Journal about the Chrysler Turbine Car. 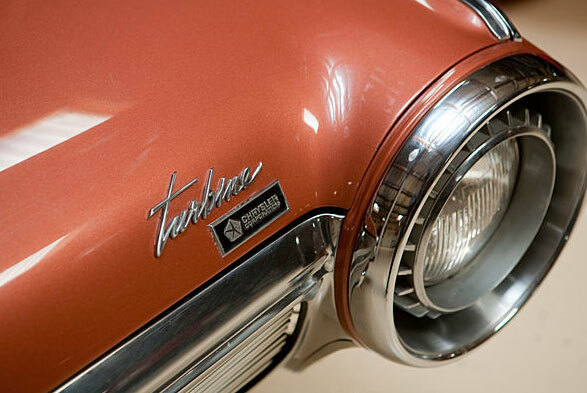 One morning I witnessed a student being dropped off at the front gate at my high school by some guy driving a Chrysler Turbine car. I couldn’t believe it. The sound it made! A year or so later I saw another one, parked by the side of the road at a beach city in Southern California. The future had arrived. I don’t have any of the back story for the car, other than what I’ve found online, but I’m sure there are readers of Dean’s Garage who were there and could supply the details. How the car came to be? 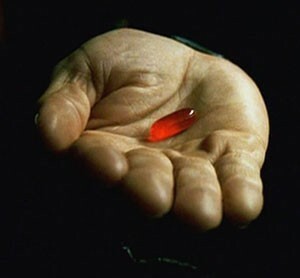 How was the decision made to put a number of them in the hands of the public as a test and a PR stunt? 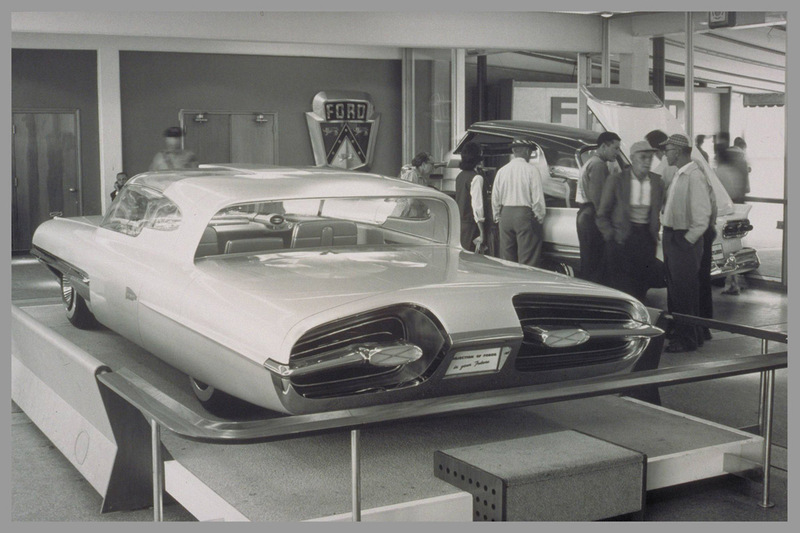 Did Elwood Engel design the car, and was he indeed influenced by the La Galaxie, a Ford concept car? It does seem to have a passing resemblance to Fords of the era. 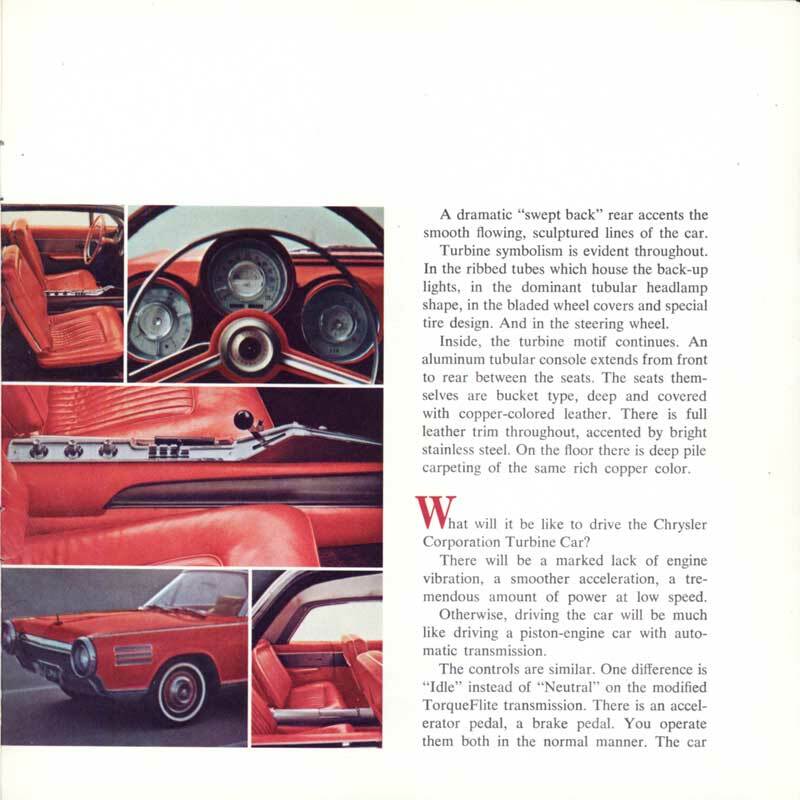 In this post there are a number of images of the car including scans from a brochure, photos of Jay Leno’s Chrysler Turbine Car, and descriptions of the car found online. 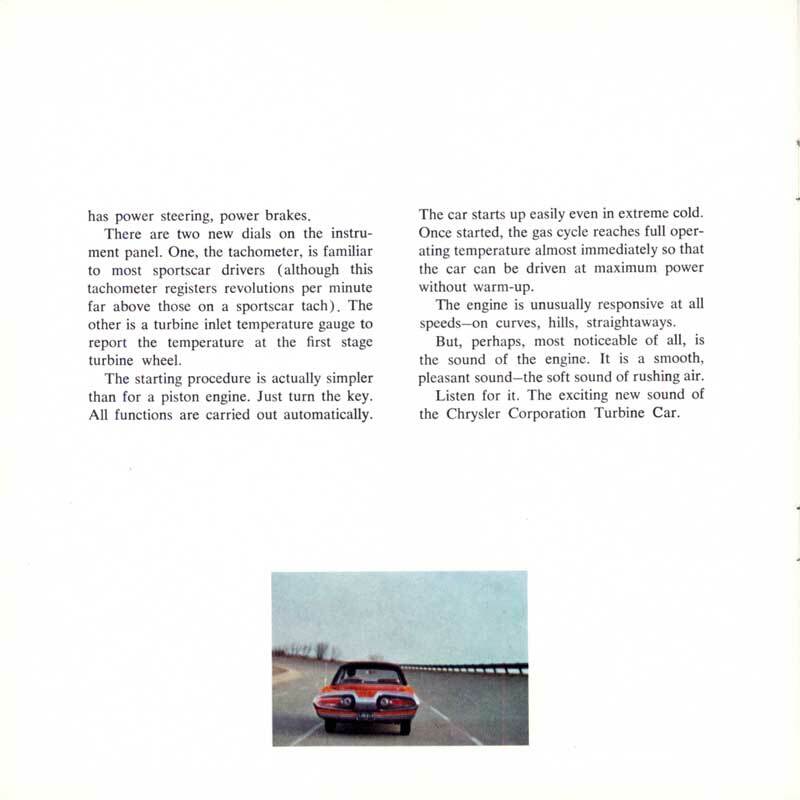 The Chrysler turbine car was the largest gas turbine passenger car test program. 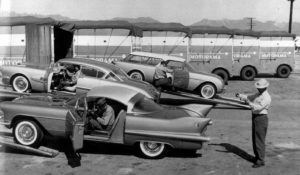 55 cars were distributed to 203 volunteers in 48 states free of charge for 3 months between 1963-1966. 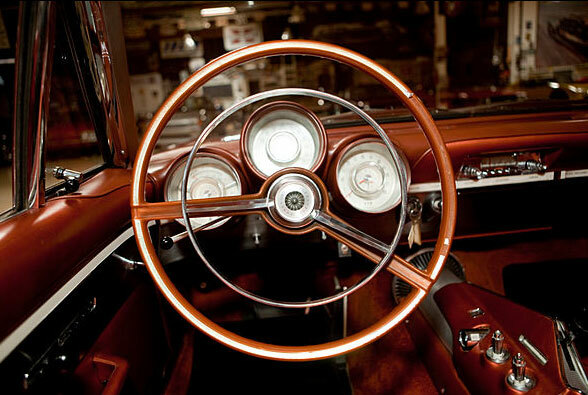 Designed by Elwood Engel and engineered by George Huebner the cars were hand built by Ghia in Italy. The CR2A turbine engine produced 130 BHP @ 3,600 RPM to the output shaft and a torque rating of 425 lb-ft. Although Chrysler recommended using diesel or non leaded gasoline. The engine could run on just about any free flowing liquid that burns when combined with air. Mexican tequila and Chanel #5 perfume were some of odd fuels people poured into the tank of these cars. 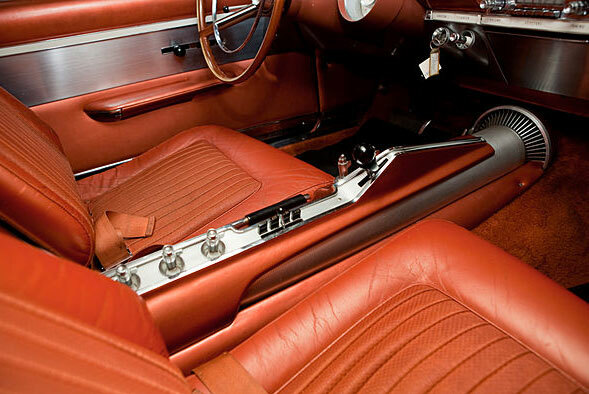 The transmission used was a modified TorqueFlite 3-speed automatic. Test results were mixed. Volunteers liked the vibration free and quiet operation of the turbine engine. They also liked the low maintenance, ease of starting, and fast warm up of the turbine even in the coldest weather. Poor fuel economy was a minor complaint because the cars run on lower cost fuel. Mileage was 13-14 miles per gallon. The biggest complaint about the car was poor acceleration. 0-60 miles per hour was achieved at a slow 12 seconds. However, if the car was “brake torqued” by holding the brakes and revving the turbine up to 50,000 rpm the 0-60 time was cut to 5 seconds. 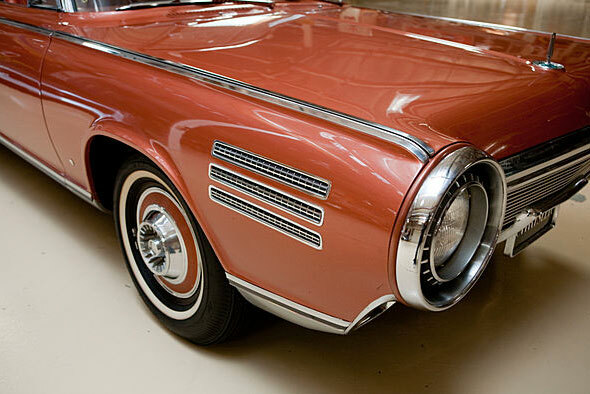 Jay Leno’s Chrysler Turbine Car. There are many interesting detail photos of the car in this gallery. 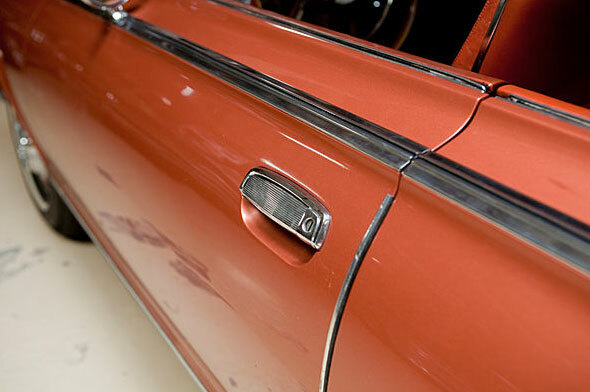 The bodies and interiors were crafted by Ghia in Italy. Outsourcing this step saved money for Chrysler. 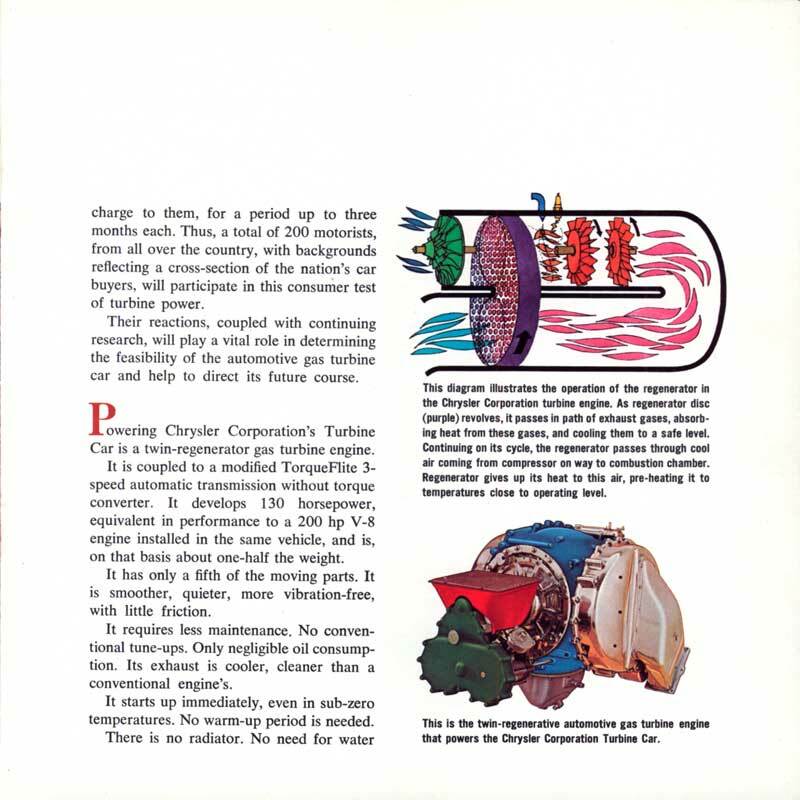 A total of 50 “production” Turbine Cars were built between October 1963 and October 1964, plus five prototypes (three of which differed in roof/paint schemes). 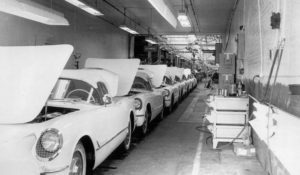 As each body was finished and shipped to Detroit, Chrysler employees installed gas turbine engines, transmissions, and electrical components to prepare the cars for use by the 203 motorists—20 of them women—who were chosen to test them. There does seem to be a resemblance with Ford’s 1958 La Galaxie. 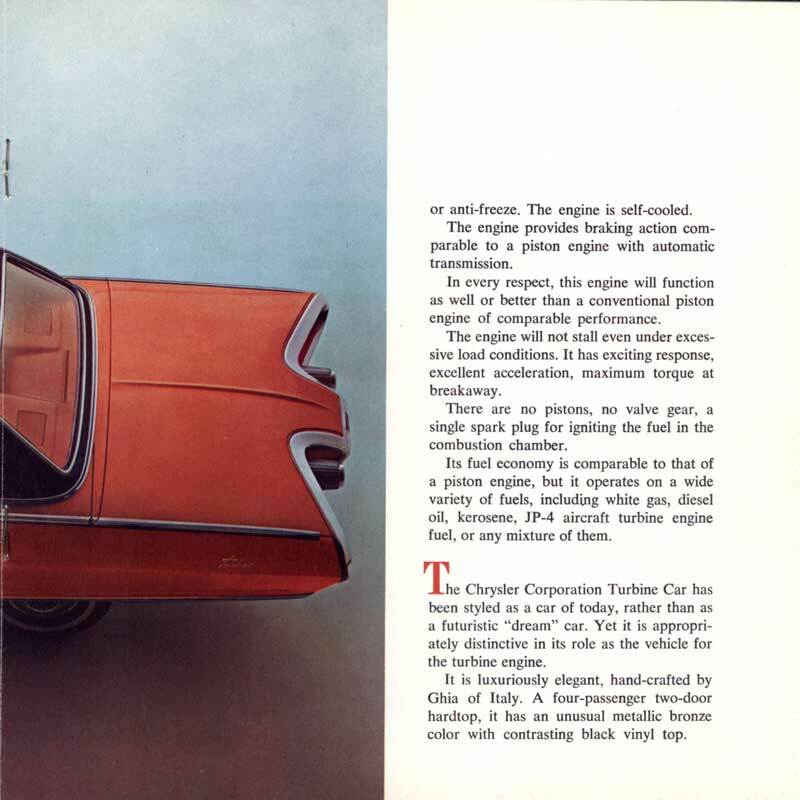 The Turbine Car was a two-door hardtop coupe with four individual bucket seats, power steering, power brakes, and power windows. 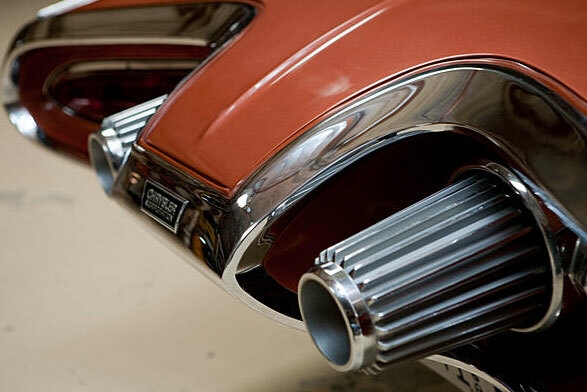 Its most prominent design features were two large horizontal taillights and nozzles (back-up lights) mounted inside a very heavy chrome sculptured bumper. Up front, the single headlamps were mounted in chrome nacelles with a turbine styling theme, creating a striking appearance. 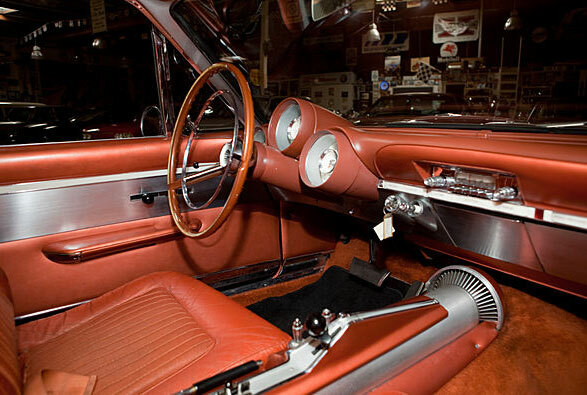 This theme was carried through to the center console and the hubcaps. Even the tires were specially made with small turbine vanes molded into the white sidewalls. 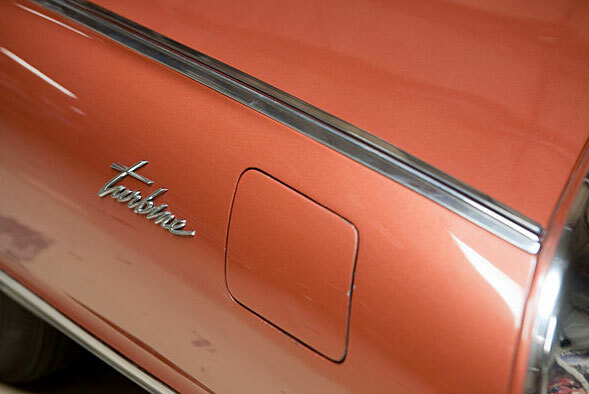 It was finished in reddish-brown “Frostfire Metallic” paint, later renamed “Turbine Bronze” and made available on production automobiles. 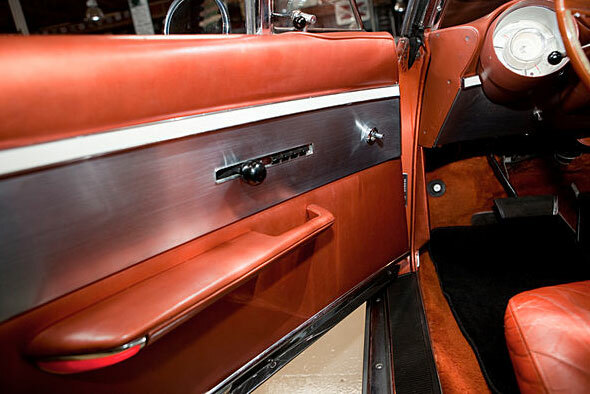 The roof was covered in black vinyl, and the interior featured bronze-colored “English calfskin” leather upholstery with plush-cut pile bronze-colored carpet. 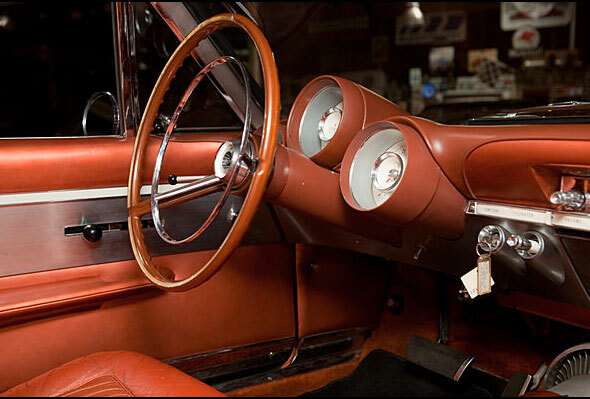 The instrument panel was lighted with electroluminescent panels in the gauge pods and on a call-out strip across the dash. 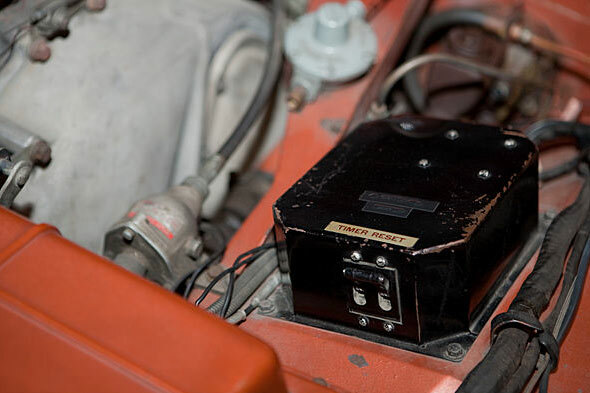 This system did not use bulbs; instead, an inverter and transformer raised the battery voltage to over 100 volts AC and passed that high voltage through special plastic layers, causing the gauges to glow with a blue-green light. 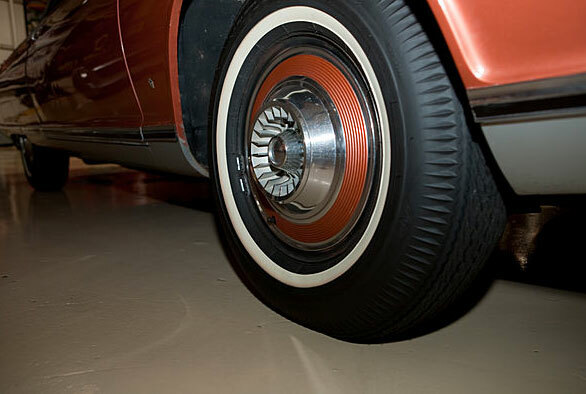 Suspension did not follow Chrysler’s ubiquitous torsion bar system, but rather featured contemporary designs using independent front suspension with a coil spring at each wheel. 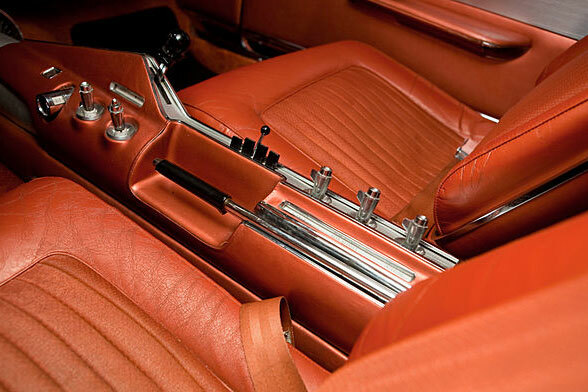 Rear suspension consisted of leaf springs and direct-acting shock absorbers. 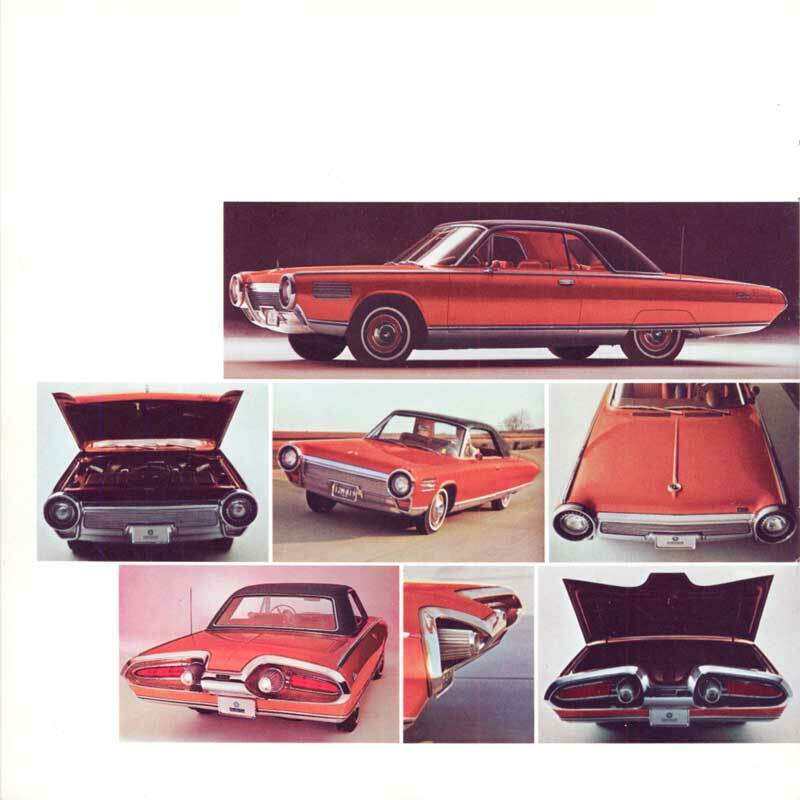 Chrysler Turbine Car Brochure. Download a copy in Acrobat format. 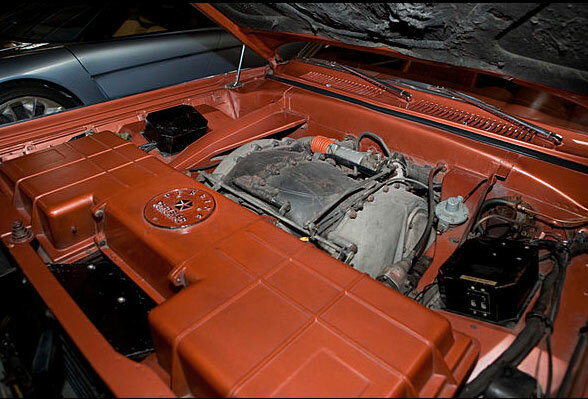 The fourth-generation Chrysler turbine engine ran at up to 44,500 Revolutions per minute (rpm), according to the owner’s manual, and could use diesel fuel, unleaded gasoline, kerosene, JP-4 jet fuel, and even vegetable oil. The engine would run on virtually anything and the president of Mexico tested this theory by running one of the first cars—successfully—on tequila. Air/fuel adjustments were required to switch from one to another, and the only evidence of what fuel was being used was the odor of the exhaust. The engine had a fifth as many moving parts as a piston unit (60 rather than 300). The turbine was spinning on simple sleeve bearings for vibration-free running. 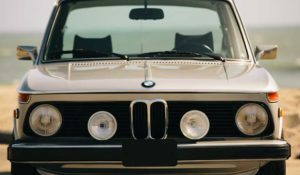 Its simplicity offered the potential for long life, and because no combustion contaminants enter engine oil, no oil changes were considered necessary. 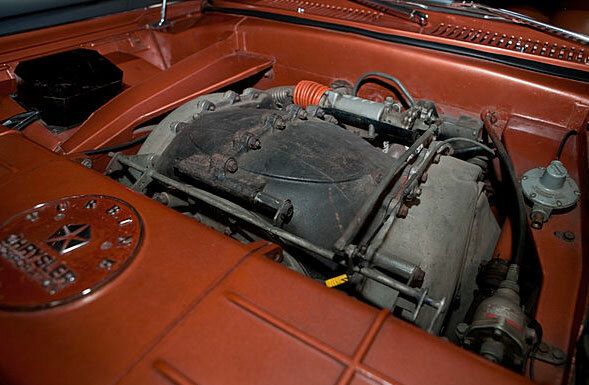 The 1963 Turbine’s engine generated 130 brake horsepower (97 kW) and an instant 425 pound-feet (576 N·m) of torque at stall speed, making it good for 0-60 mph in 12 seconds at an ambient temperature of 85 °F (29 °C)—it would sprint quicker if the air was cooler and denser. The absence of a distributor and points, the solitary start-up spark plug and the lack of coolant eased maintenance, while the exhaust did not contain carbon monoxide (CO), unburned carbon, or raw hydrocarbons. Nevertheless, the turbine generated nitrogen oxides (NO) and the challenge of limiting them helped to kill the program. Its power turbine was connected, without a torque converter, through a gear reduction unit to an otherwise ordinary TorqueFlite automatic transmission. The flow of the combustion gases between the gas generator and free power turbine provided the same functionality as a torque converter but without using a conventional liquid medium. Twin rotating recuperators transferred exhaust heat to the inlet air, greatly improving fuel economy. Varying stator blades prevented excessive top end speeds, and provided engine braking on deceleration. Throttle lag, high fuel consumption—17 miles per US gallon (14 L/100 km; 20 mpg-imp)—and exhaust gas temperatures at idle plagued early models. 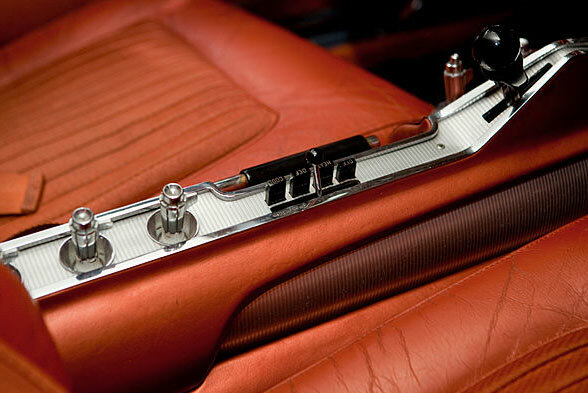 Chrysler was able to remedy or mitigate most of these drawbacks and deficiencies. 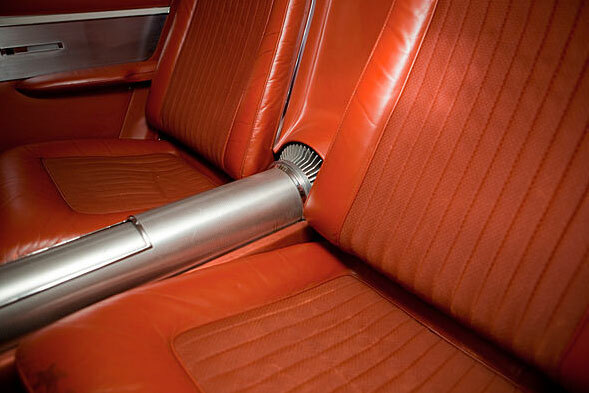 The Turbine Car also featured a fully stainless steel exhaust system, the exits of which were flat in cross section. This was intended to spread the exhaust gases thinly and thus cool them further, so that the vehicle could stand in traffic without risking damage to following traffic. The combustor, or burner, was somewhat primitive by the standards of modern turbojet engines. A single reverse-flow canister featuring a more-or-less standard spark plug for ignition was employed. Had the engine been further developed, annular combustion chambers along with a second power turbine might have improved power and economy even more. The turbine car had some operational drawbacks. The car sounded like a giant vacuum cleaner, which was not satisfying to consumers who were more comfortable with the sound of a large American V8. High altitudes also caused problems for the combined starter-generator. Failing to follow the correct start-up procedure would cause the engine to stall; some consumers thought they could “warm” the engine up similar to the way they did with a gasoline engine. 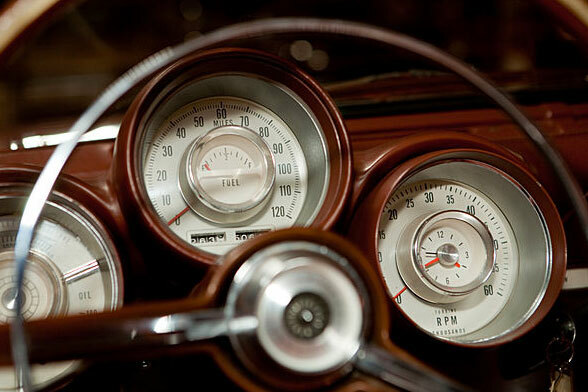 They would press the accelerator pedal to the floor before the engine had reached proper temperature. Instead of warming the engine, the excess fuel slowed the turbine down and resulted in the opposite of the desired effect. Doing this, however, did not do any permanent damage to the engine. 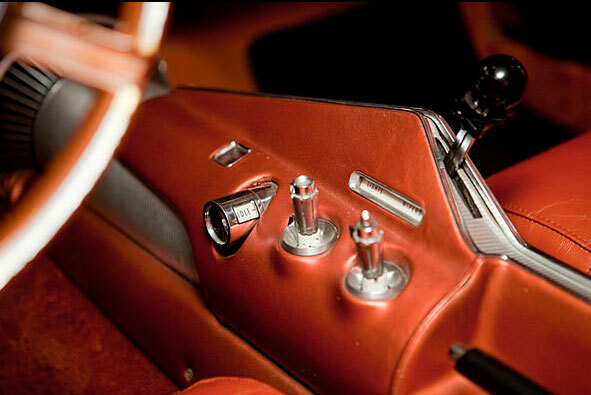 In fact, it was possible to apply full throttle immediately after starting the engine without much fear of excessive wear. The engines were remarkably durable considering how fragile turbine engines are when compared to internal combustion piston engines. Troubles were remarkably few for such a bold experiment. More than 1.1 million test miles were accumulated by the 50 cars given to the public, and operational downtime stood at only 4%. 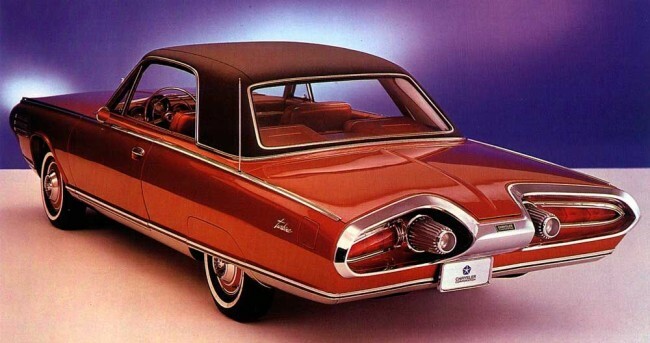 After Chrysler finished the user program and other public displays of the cars, 46 of them were destroyed. The story at the time that this was done to avoid an import tariff was incorrect. The destruction of the cars was merely keeping in line with the automobile industry’s practice of not selling non-production or prototype cars to the public. 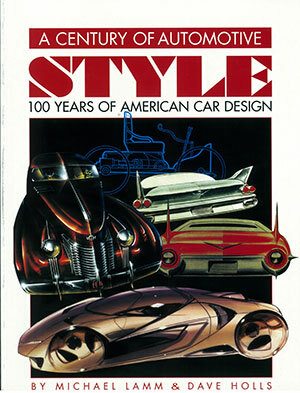 This same issue arose later with the General Motors EV-1. Of the remaining nine cars, six had the engines de-activated and then they were donated to museums around the country. 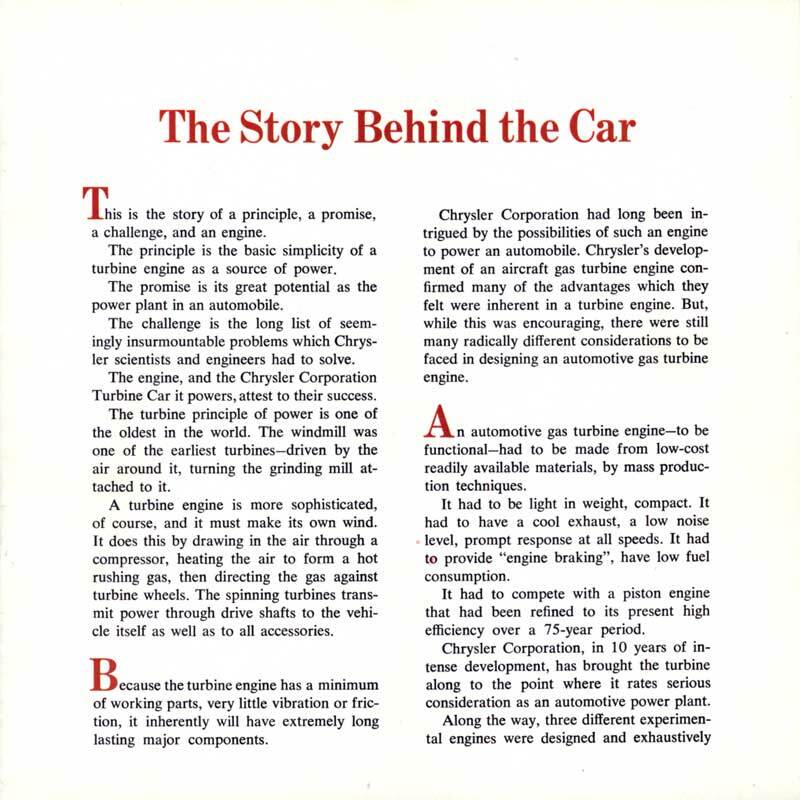 Chrysler retained three operational turbine cars for historical reasons; two of the three are now owned by the “WPC Museum.” All of the turbine cars owned by the WPC Museum are in running condition at the archives of the museum. 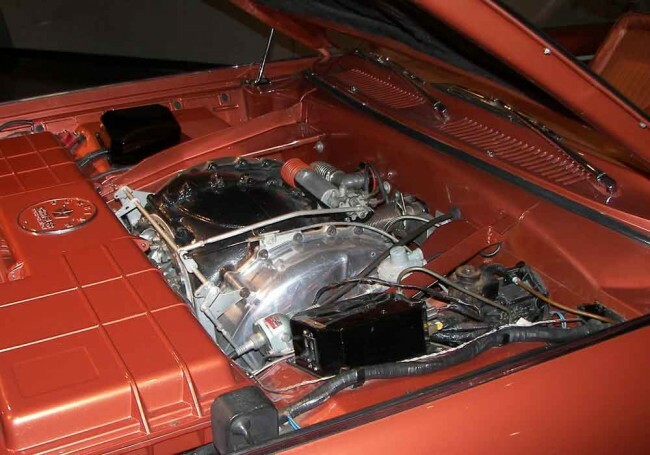 The last turbine car that is functional, owned by the Museum of Transportation in St. Louis, was photographed for Mopar Action magazine, and appears at car shows around the United States from time to time. As of May 2010, one of the Turbine cars was on display at the The Henry Ford Museum in Dearborn, Michigan as part of the Showroom of Automotive History display. 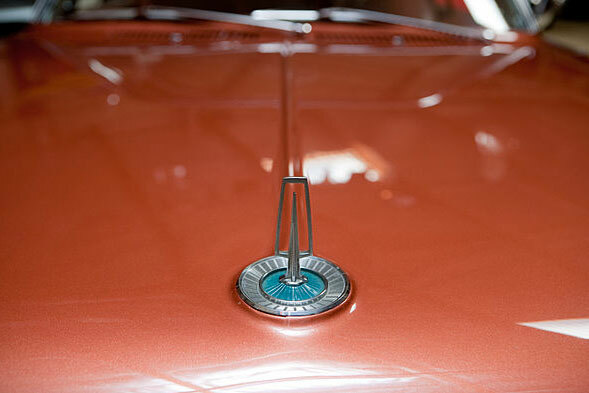 Only two Chrysler Turbine Cars are in the hands of private collectors: One was purchased by private automobile collector Frank Kleptz of Terre Haute, Indiana and is functional. Kleptz’s Turbine Car was originally donated to the former Harrah museum in Nevada. 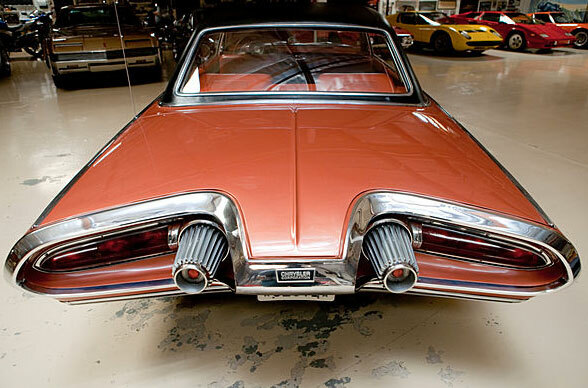 The second one is owned by comedian and television host Jay Leno, who purchased one of the three Chrysler Turbine Cars which had been originally retained by Chrysler. 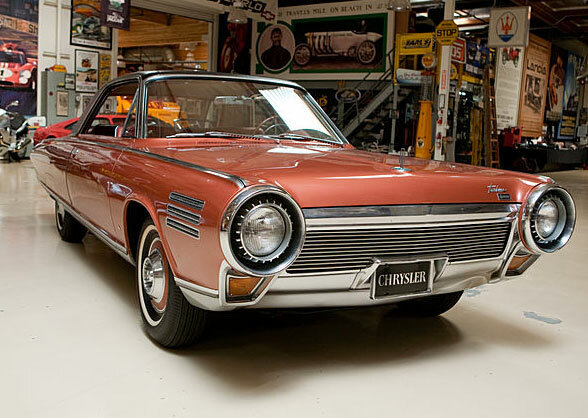 Chrysler’s turbine engine program did not die completely. 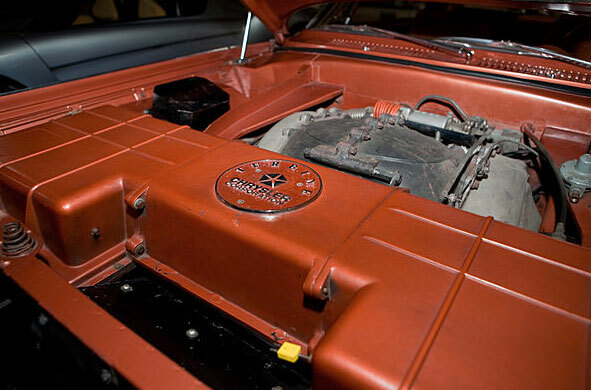 A new coupe body would appear, re-engineered and rebadged, as the 1966 Dodge Charger. 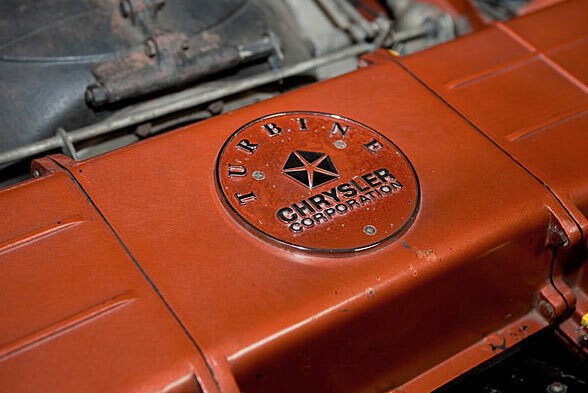 Chrysler went on to develop a sixth generation gas-turbine engine which did meet nitrogen oxide regulations, and installed it in a 1966 Dodge Coronet, though it was never shown. 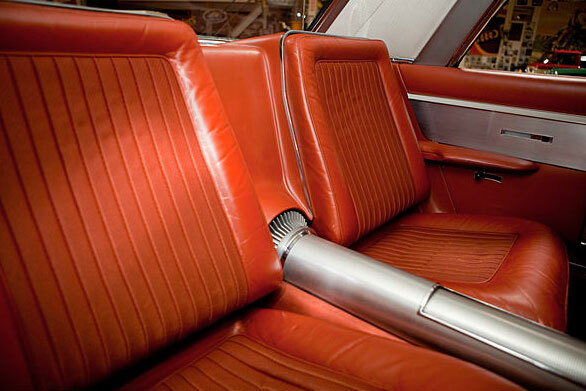 A smaller, lighter seventh generation engine was produced in the early 1970s, when company received a grant from the United States Environmental Protection Agency (EPA) for further development, and a special bodied turbine Chrysler LeBaron was built in 1977 as a prelude to a production run (photos of the Chrysler LeBaron Turbine car are featured in the Bob Marcks post). Bob Marcks’ caption: Here’s the Turbine Car as it turned out. It started life as the Chrysler LeBaron. I changed the whole front end, and refined some of the other elements in the rear quarter and back. 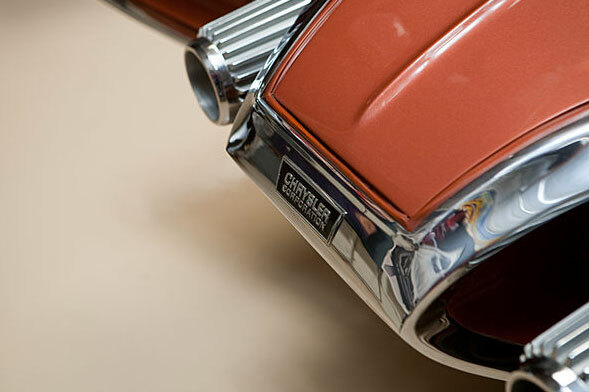 The grille texture and “waterfall” was similar to the ’76 Imperial, to keep a Chrysler look. I didn’t know if there was a “right’ shape for a turbine engine grille, but I figured it ought to be different so I made it narrow. I like the center photo because it shows off the execution to best advantage. I supervised it “off-site” with non-union help on the modeling, so I could get involved myself. Unknown to me, the car was selected to be inspiration for the 1980 Imperial (If they liked it so much, how come I wasn’t invited to participate??). I thought the ’80 could have been a lot better, a little crown in the surfaces would have helped for openers. 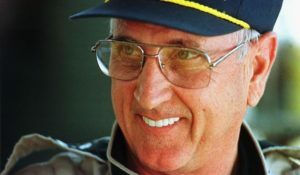 Gary, here’s a photo I like, before Iacocca or someone thought the car should have WSWs. They also suggested that I put pinstripes on it, and I resisted. I wanted it to look like a piece of machinery; that’s why there’s 3-D lettering on it. I think I saw decal lettering on the Aerovette (?) so that was the only type identification on it. It isn’t completely pure; it has dummy exhaust outlets on the lower bodyside. WELL. First things first. 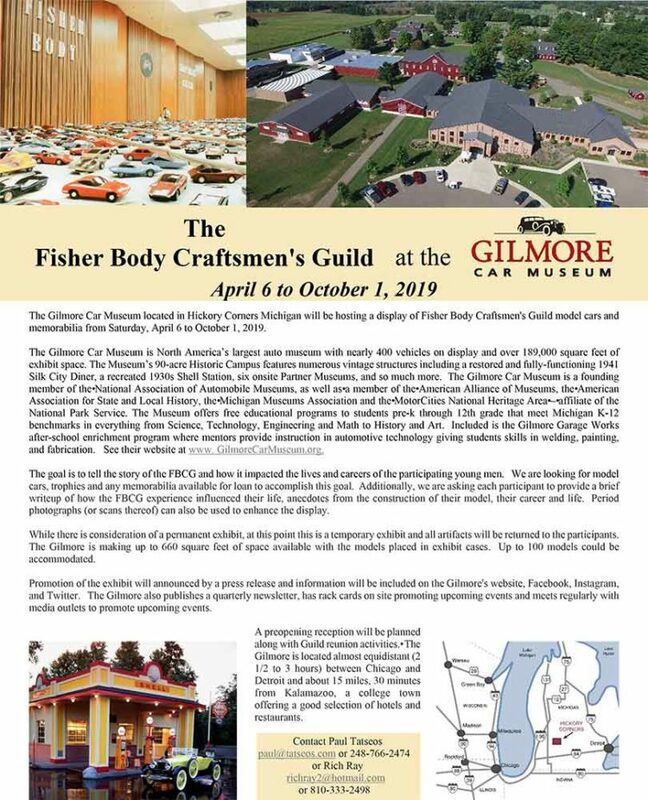 The piece here starts out saying the usual statement everyone makes that 50 cars were built, but then amends that later. 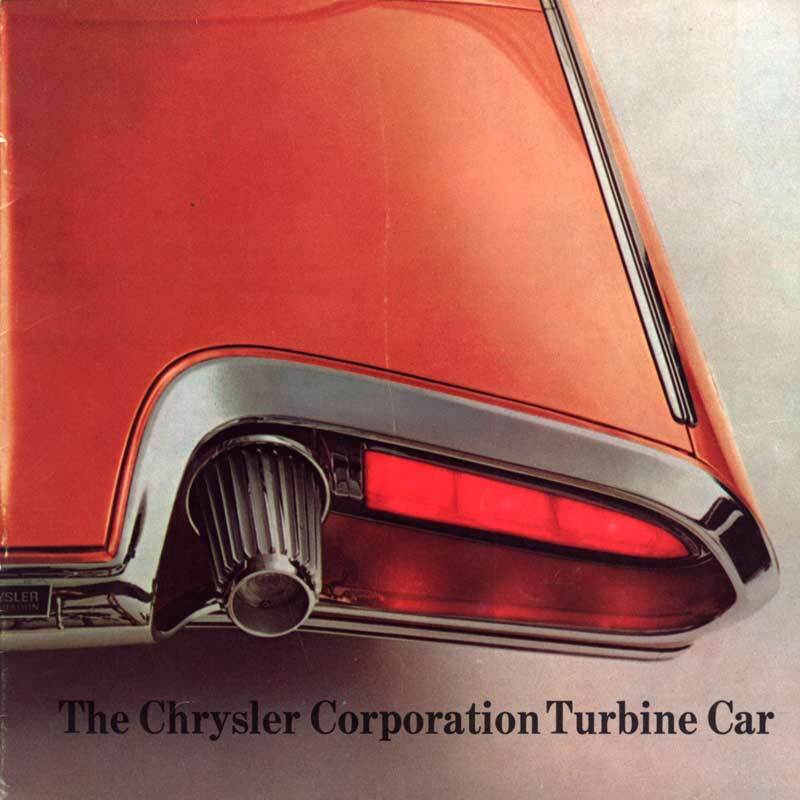 I don’t think any history of the Chrysler Gas Turbine car (CGT) ever mentioned that there were in fact 55 cars built-–until I wrote that for Special-Interest Autos magazine 30 years ago. So I think we can safely say that came from me. As for “La Galaxie” I had also originally mentioned this in my history back then, but it was edited out. 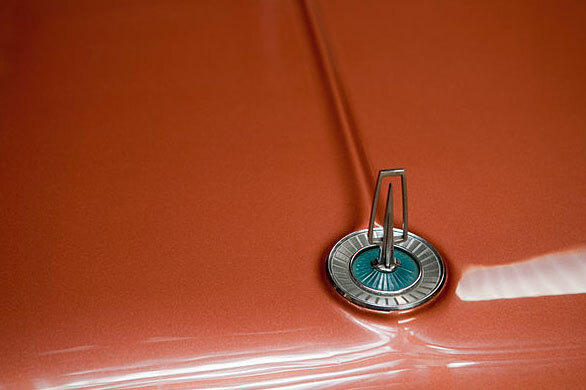 But yes, Ford’s La Galaxie certainly provided some inspiration for the Ghia-built CGT. 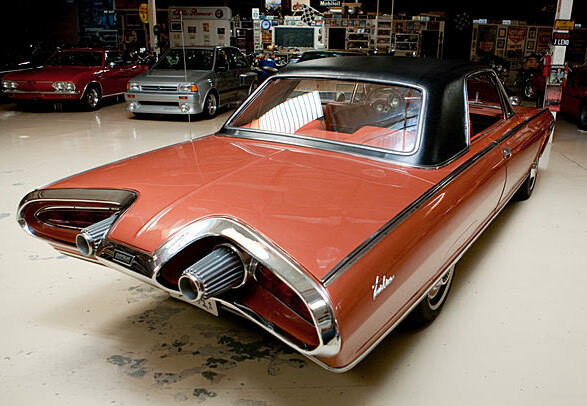 But then… Packard’s Predictor provided a lot of inspiration for La Galaxie (roof front, reverse backlte and more). There were a couple of other things that should have made it into my SIA article 30 years ago that didn’t. And somehow Giovanni Savanuzzi’s name got spelled phonetically in the article. But otherwise it still stands to this day. Anyway, I won an award from Chrysler for my article (by the way, in the 1950s I was the youngest person in the world on the Chrysler press preview list). They gave me a beautiful little CGT model which I still have tucked away in the original box. They also invited me back to Highland Park to drive the cars and learn about the latest research. I talked extensively with Mr. Heubner and others on the engineering team… and with people from the movie team (I still have 8 x 10 glossies of scenes from The Lively Set movie with the CGT). You mention Jay Leno’s CGT. Actually, Jay’s car has a few slight, almost imperceptible differences from the the other cars in the test program. The engineering department cars were visually altered. In the case of Jay’s car (and I believe it is the same car I drove back in the 1970s) the reverse lights are different and have a red reflector added to them. This is the way the engineering department cars were outfitted. For comparison, take a look at the stock photo car at the beginning of the article and notice the reverse light lenses are different. 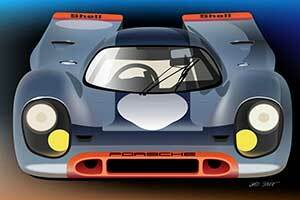 Then look at the car pictured in the CGT brochure. You will also notice that its reverse-gear lenses are clear/white and have no red reflector in them. Next, the part about the 1966 Charger is not quite correct. 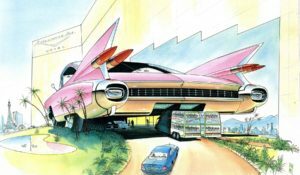 Again, as I pointed out 30 years ago, that car was originally intended to be called the “Turbine Charger” and I showed renderings of the car in my article and talked about the ill-fated close brush with productions. Then we come to the cars mysteriously missing from this history and others. 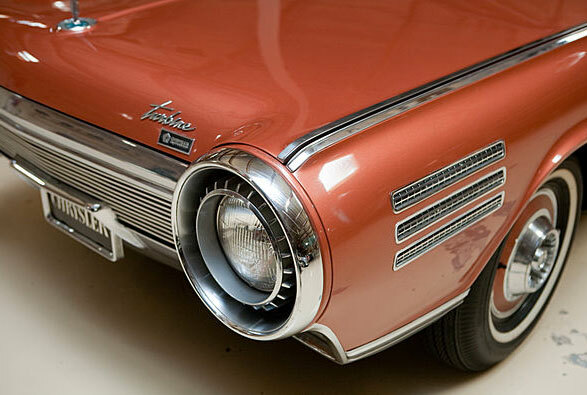 I vividly recall driving a gas-turbine powered Aspen sedan which was put together for the DOT. I believe THIS car was the very last. I drove this car on city streets and at Milford and I believe I am one of few people outside of Chrysler personnel to do so. If I recall there were two such cars, one Plymouth, one Dodge and I recall sitting in both of them parked side-by-side. I also remember the LeBaron Turbine and have photos of it. It was from the same period I mention. You wanna know where the turbines went? Military TANKS. The Wall St. Journal auto section today has an article headlined “What Would Don Draper Drive?” along with a photo of the Turbine. 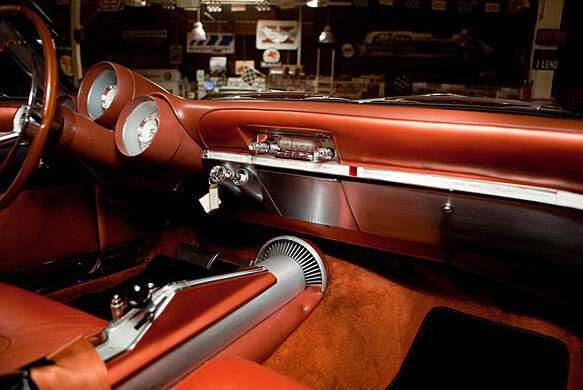 If you’ve ever seen Mad Men, you’d know the car and Don would make a fit. What Would Don Draper Drive? The author, a Michigan attorney, has previously written about a mass murder in that state, so it is perhaps apt that he would return to the theme of premature demise. The victim this time is an idea that never achieved the full measure of years it probably deserved. 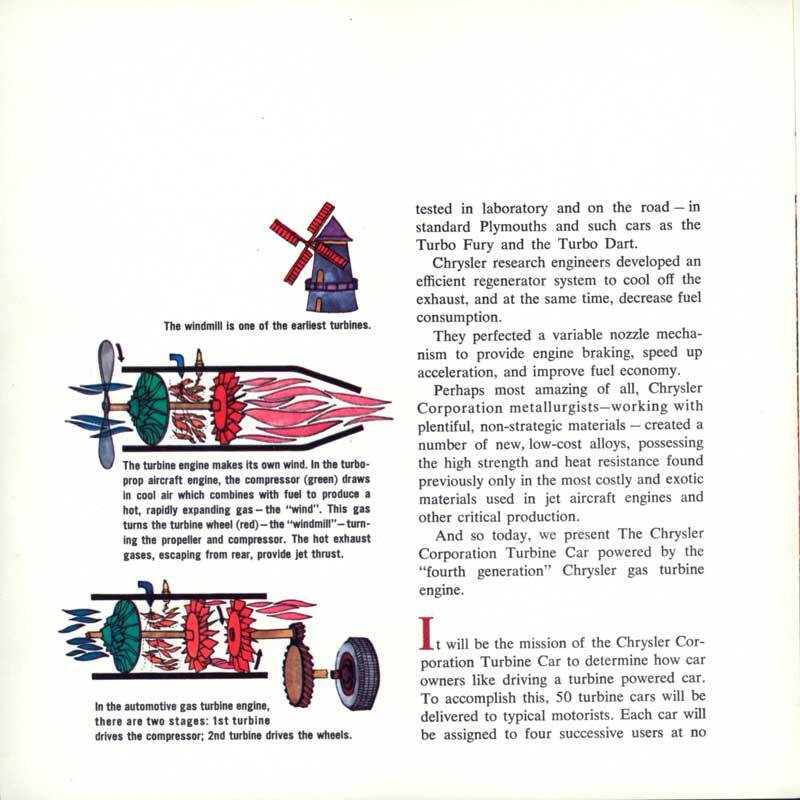 Then along came George Huebner, the book’s hero, a charming and slightly egomaniacal Chrysler automotive engineer who would appear, Zelig-like, in photographs of the turbine car over the next 20 years. He persuaded the auto maker to develop the technology as the power plant of the future. Huebner, who died in 1996 at age 86, believed that there was plenty to recommend the turbine. After all, as Mr. Lehto notes, “the cars ran on any flammable liquid. Not just gasoline but diesel, kerosene, jet fuel, peanut oil, alcohol, tequila, perfume, and many other substances fueled Huebner’s turbine cars at one time or another.” (The joke went that if a driver ever ran out of fuel he could always dash into a drugstore for a bottle of aftershave.) Turbines weighed less than piston engines, had fewer moving parts and were easy to work on. What’s more, they never needed a tuneup or an oil change and could cruise all day at 100 miles per hour. Mr. Lehto also delves into Chrysler’s “user program,” a publicity scheme to promote its “jet” car. 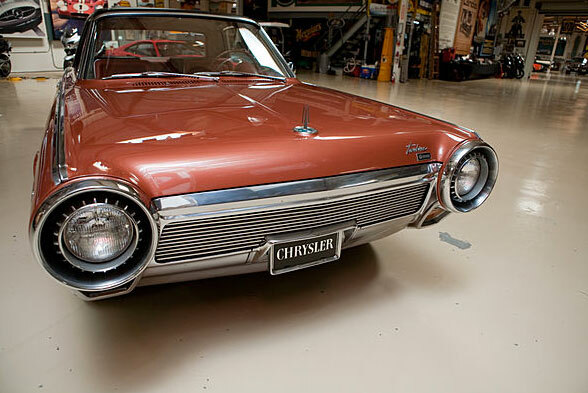 In 1962, Chrysler commissioned Ghia, the famed Italian automotive-design firm, to handcraft 50 identical car bodies to house the company’s latest turbine. Each car would be lent to a family for a few months and then passed on to another. The pretext was “marketing evaluation,” but the program’s real beauty was in creating buzz. Chrysler received more than 30,000 requests to become test drivers and eventually 203 were chosen. 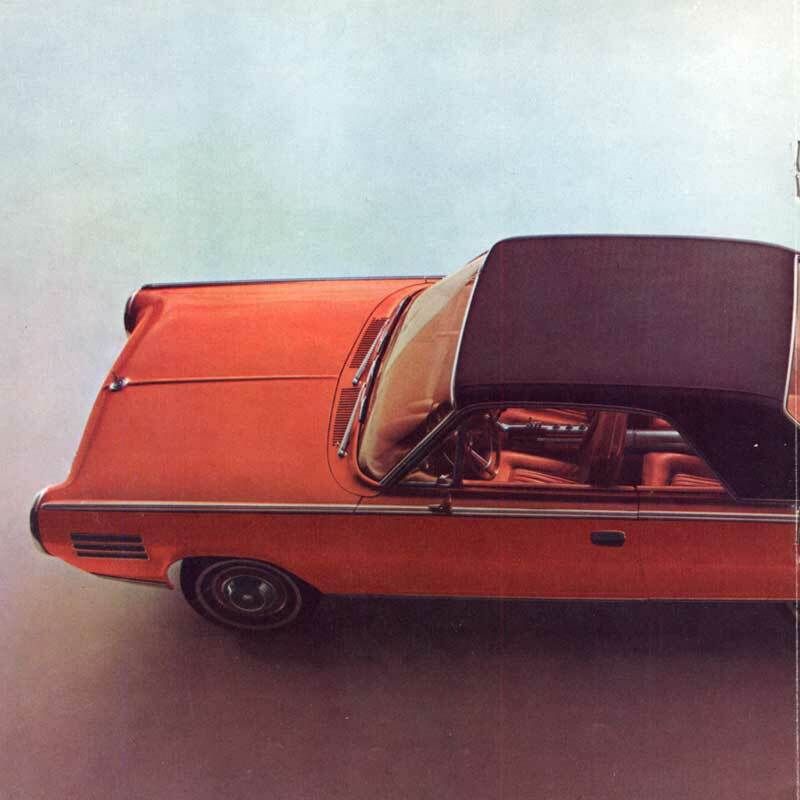 The author tracks down many participants in Chrysler’s user program and records their happy memories. 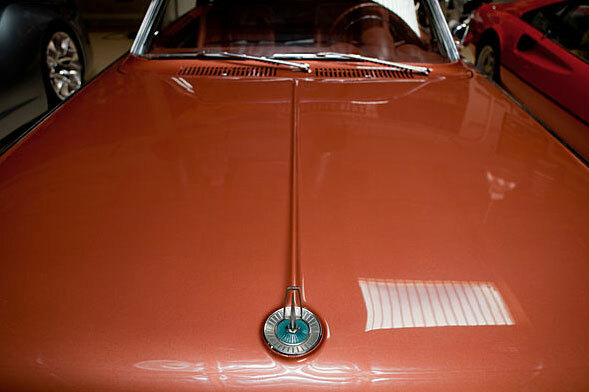 He also pores over stacks of the written reports, filed by the users, detailing the more than one million miles they logged (mostly trouble free) in the 50 Ghia prototypes. None of these test drivers, it seems, was eager to give the car back. 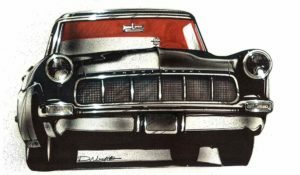 “Some wanted a turbine car so badly they sent in blank checks made out to Chrysler,” Mr. Lehto writes. 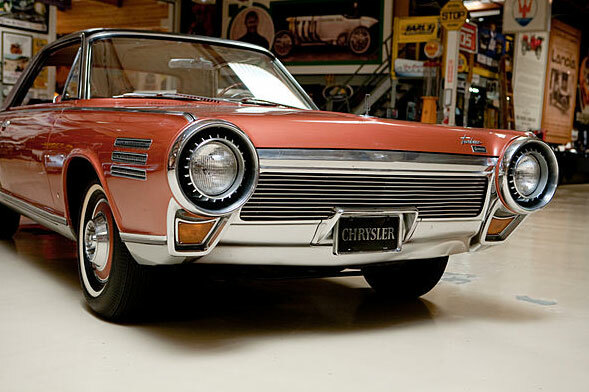 “All Chrysler had to do was name the price and deliver a car.” More than 18 million visitors viewed the Ghia turbine at the 1964 World’s Fair in New York, and the auto maker let more than 350,000 of the visitors take the car for a short ride. Never was a product better poised to take off. But it didn’t. The many reasons why occupy the last third of “Chrysler’s Turbine Car.” Mr. Lehto outlines the traffic jam of troubles that struck the entire auto industry in the 1970s. The primary culprit was OPEC’s 1973 oil embargo and the panicked response of federal regulators, who set unrealistic standards to limit fuel consumption and air pollution. George Huebner pointed out that the Environmental Protection Agency required tailpipe emissions to be cleaner than the ambient air. What about Chrysler’s complicity in the death of its own venture? Mr. Lehto strikes me as too charitable on this front. 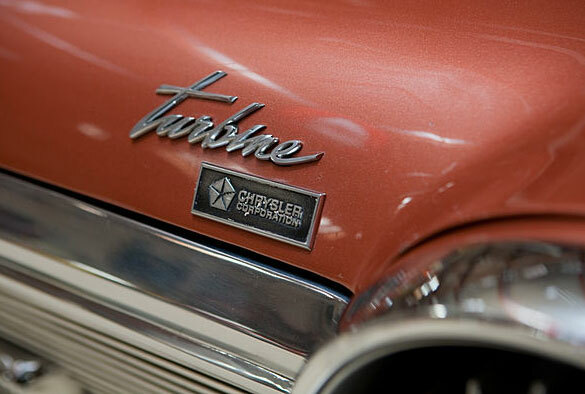 Yes, turbine engines were expensive to mass produce, as the company said, but the project was also undermined by the years of managerial dithering and bad decision-making that damaged Chrysler generally and led to a federal bailout in 1980. 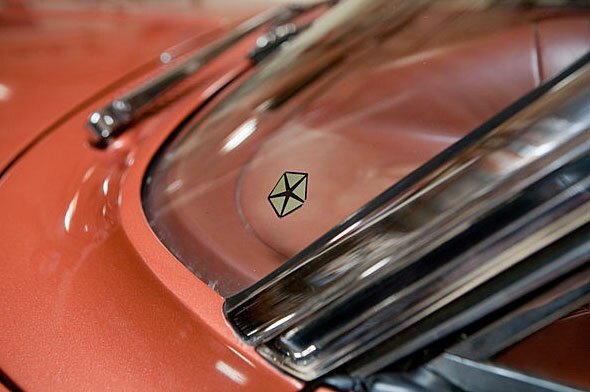 In the end, only a few of the Ghia prototypes survived. 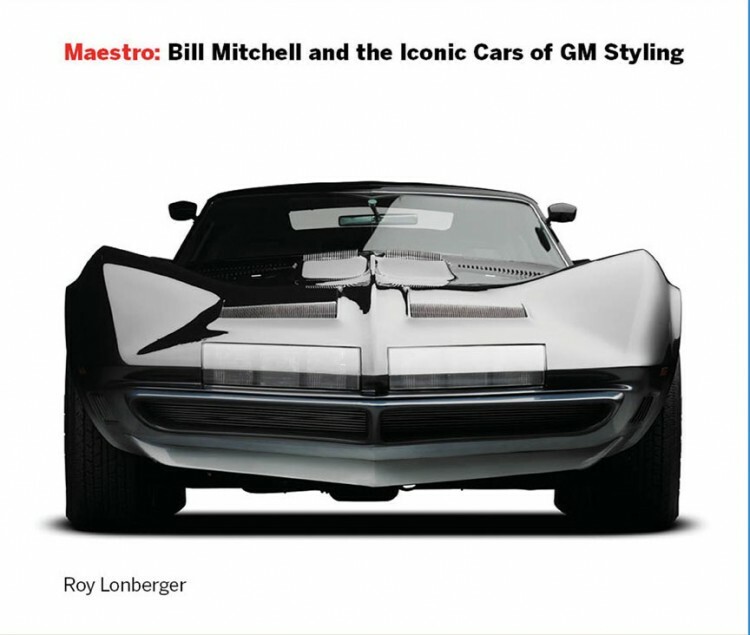 Comedian and car enthusiast Jay Leno, who wrote the book’s foreword, owns one. 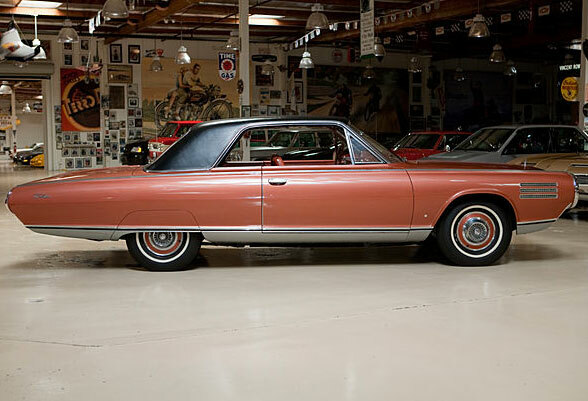 Most of the cars—46 of them—were destroyed in 1967, when Chrysler decided to make sure that competitors couldn’t get their hands on anything connected to the abandoned endeavor. Mr. Lehto writes: “Employees of the scrap yard punched holes in the gas tanks, took the fuel out, poured it into the Italian-crafted interiors, and then burned the cars.” It was a day when “grown men cried at Chrysler,” and the reader may have been tempted to join them. Our family had a CGT for about two weeks when I was about 12 years old. I’ll never forget the experience! My brother and I own an ORIGINAL gas turbine drive and the engine nameplate from a CGT, both are works of art in their own way. I am seeking information regarding one of the possible persons who was supposed to have tested the Turbine car in phoenix, AZ. I was told that Dr. Leo Tuveson a noted Bone Surgeon had tested the Turbine. Since we are doing a family history I’d like to know if this is true and if any pictures are available. Thank You. I had one of these cars. I have fond memories and wish I could have one again. When I was about 8 or 10 years old and living here in Fargo ND I was standing at at intersection in downtown Fargo waiting for the walk light so I could cross the street, when a Chrysler Turbine drove up to the stoplight and sat there as it waited for the light to turn green for him. I’ll never forget that odd whining sound the engine made. Like a small jet, of course. It is sad that such a piece of history has gone by and a whole generation of technology fanatics most likely do not even know about it and maybe do not care. I was born on 1963 and lived through all those “space race’ years and it just amaze me all the things accomplished during that time. It was like we were running on jet fuel ourselves. Now we are exploring with Hybrids and electric cars, a concept developed years before the gas turbine, if my memory does not fail me. 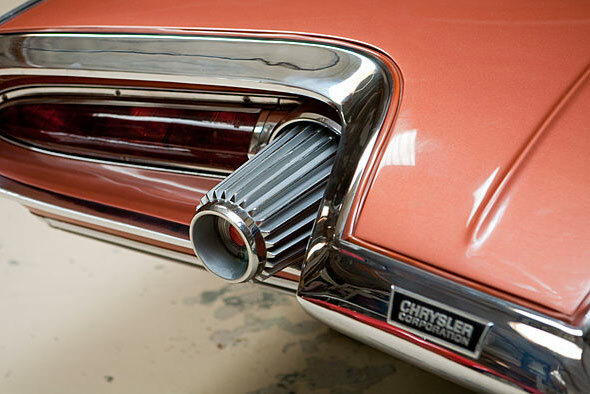 Maybe someone in the Chrysler Corp. should revisit this technology again. I was stationed at the Pentagon in 1965-68, and in 1965, One of the cars that was put out to the public for testing, passed me, in front of the pentagon. I almost did not realize what I was seeing, until it had passed, and I watched it as it went around a curv, out of sight. 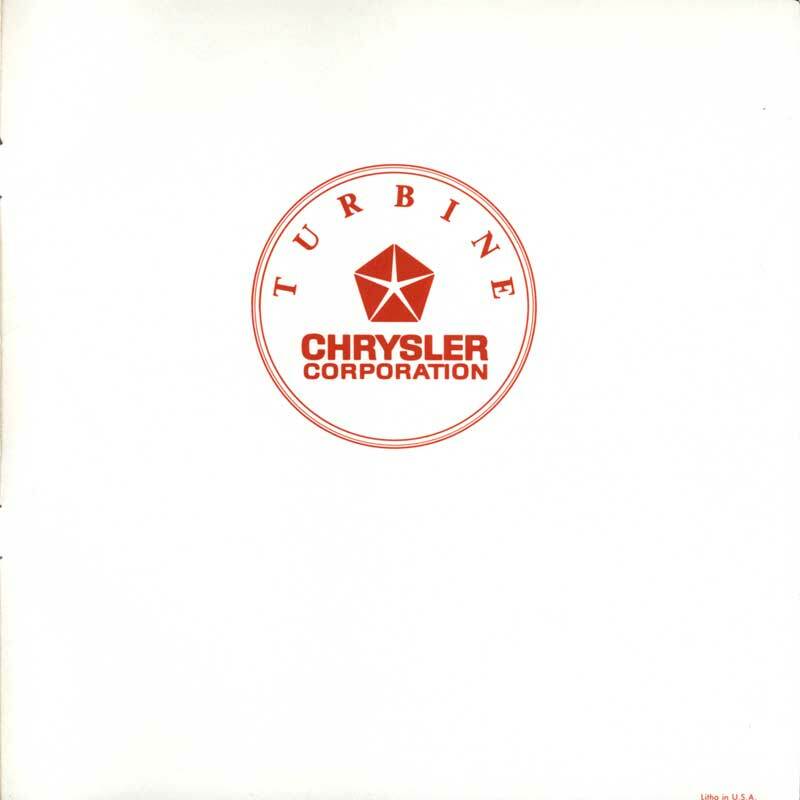 I have one of the late model turbines that was used for testing from Chrysler. I’m not sure, but I believe it may be the 7th Gen or the latest one. I was thinking about parting with it if there’s any interest from anyone. Hi my name is Richard Robb. 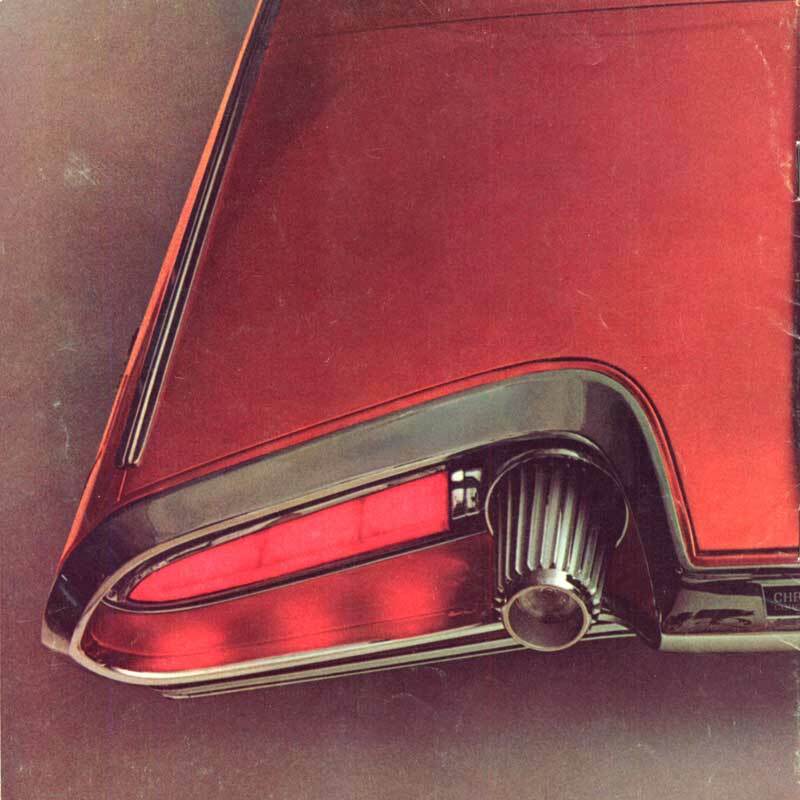 In 1964 I was 8 years old, my uncle was John Konkle, and he worked for Chrysler in advertising. One day he showed up at our house with a Chrysler turbine car to take my brother and I for a ride and what a ride it was! it sounded like a jet airplane. We drove around and all the guys in the neighborhood couldn’t believe what they saw or heard when we drove by. It was a day and a car l will never forget. Thanks, uncle John! Hi in 1964 the turbine was a favorite car, I wrote Chrysler co. A letter to buy a model of the car, to my surprise they sent me a complete scale model, I was 10 yrs. old. That is soooo cool! Gary. I was enrolled at Art Center in 1964 when everyone was walking the halls towards the front of the building and I asked what was going on. One guy said, “Some people are here from Chrysler and they’ve brought the turbine car.” It was parked out front of the school and everyone was around it. Most of us liked the looks and certainly liked the sound of the engine. A couple of us waited until the men from Chrysler were leaving to hear the car start-up, exit the driveway and out onto Third Avenue, and vanish in among the traffic. 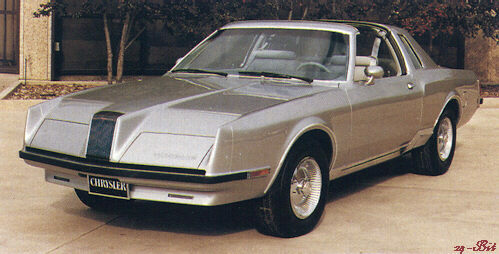 But of all the various turbine cars Chrysler built, my favorite was the ’77 car (built on a Lebaron coupe body). I always thought it was the best looking turbine car, though it didn’t get much press coverage.